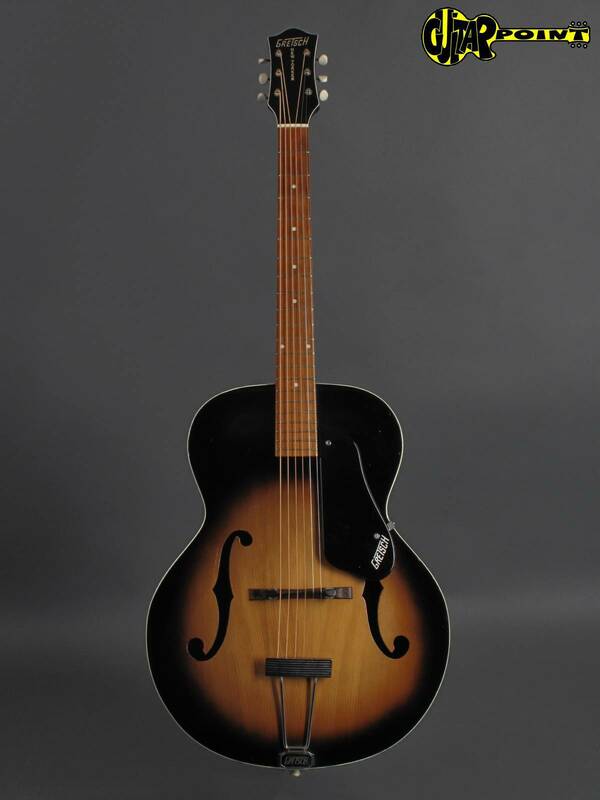 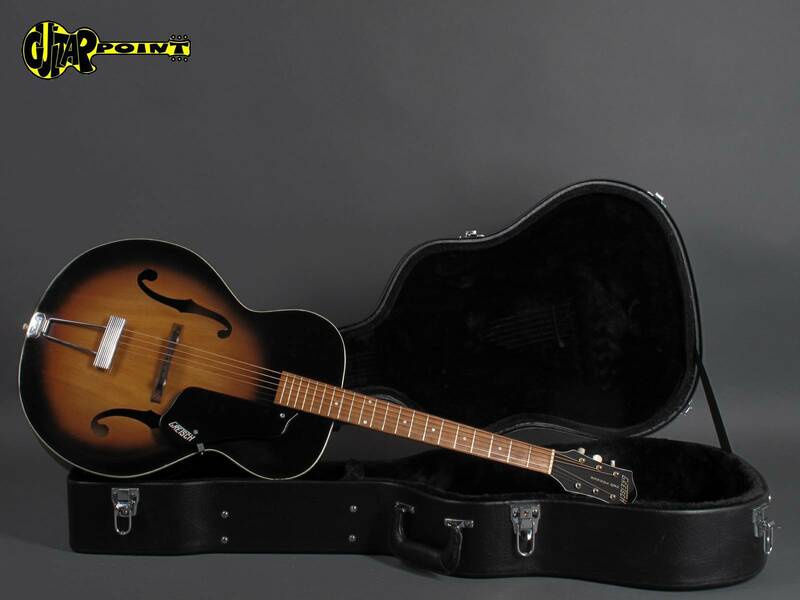 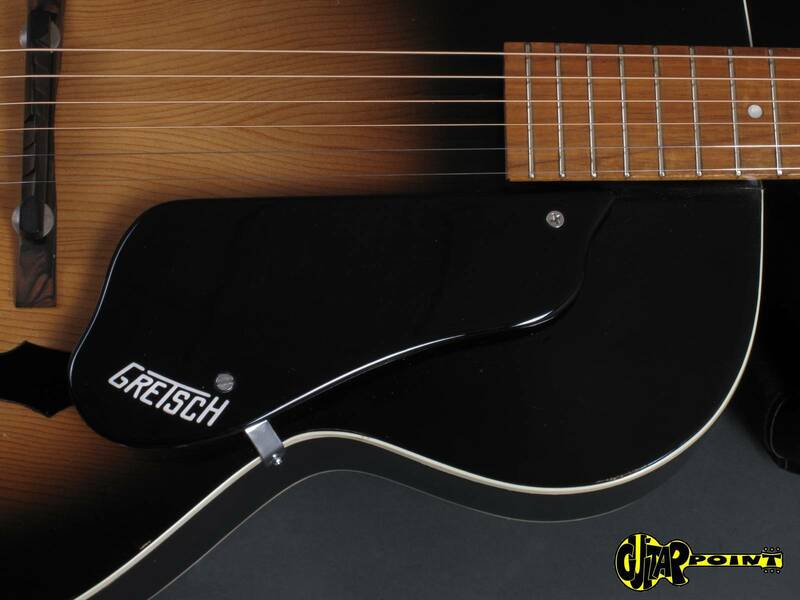 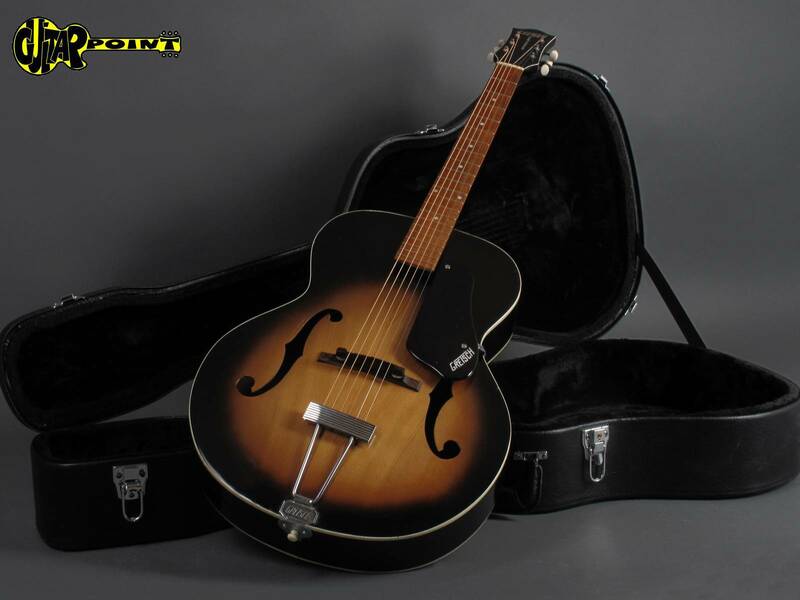 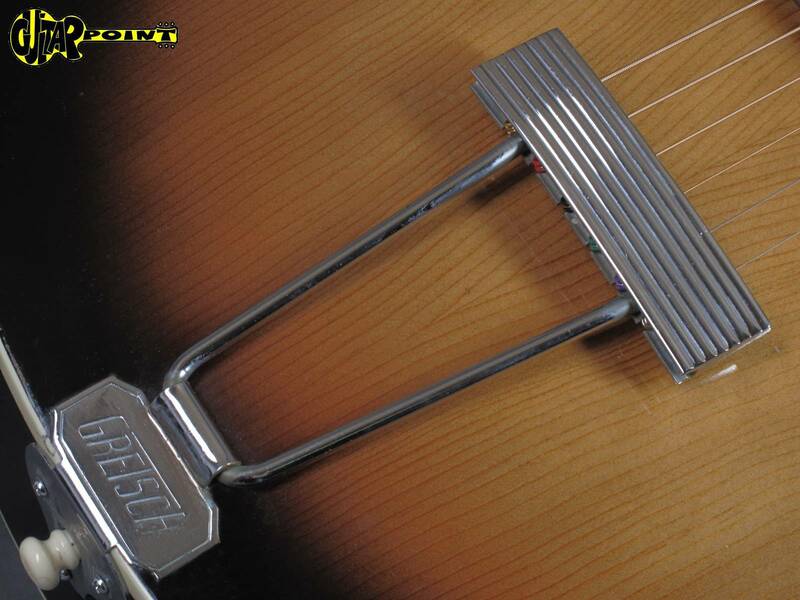 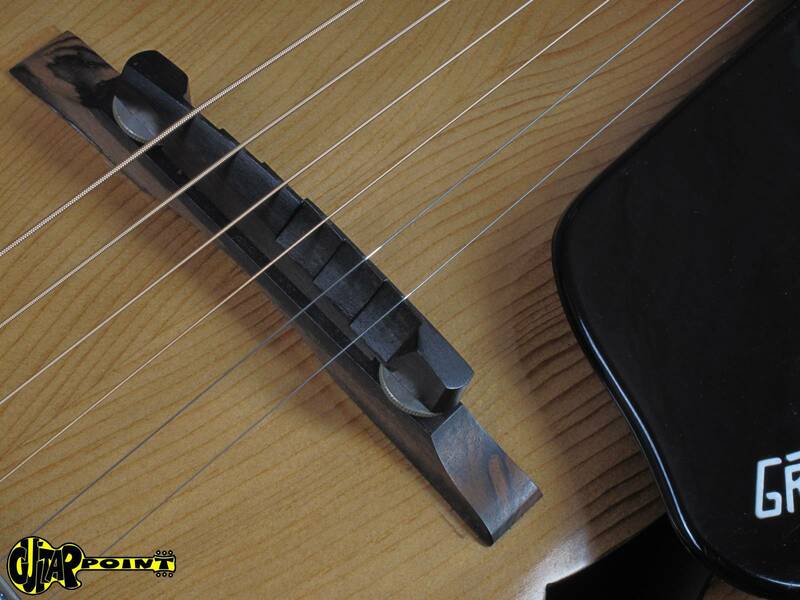 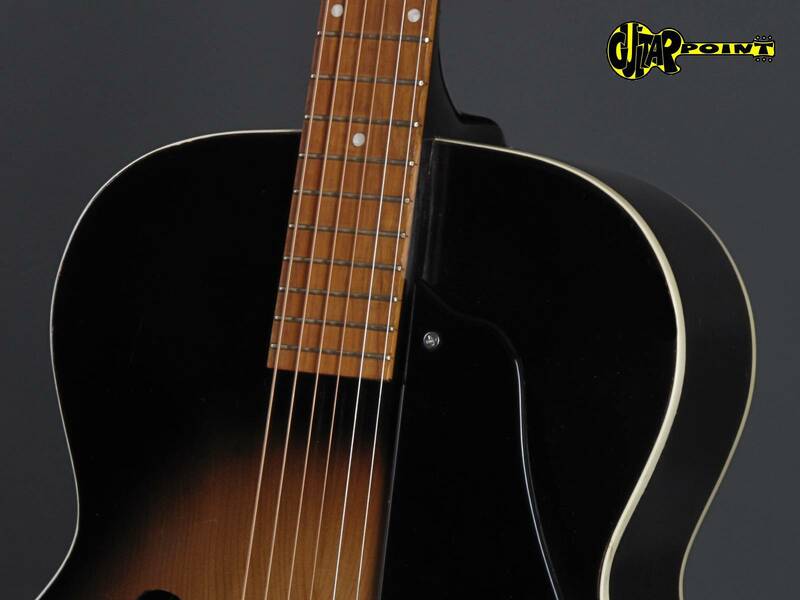 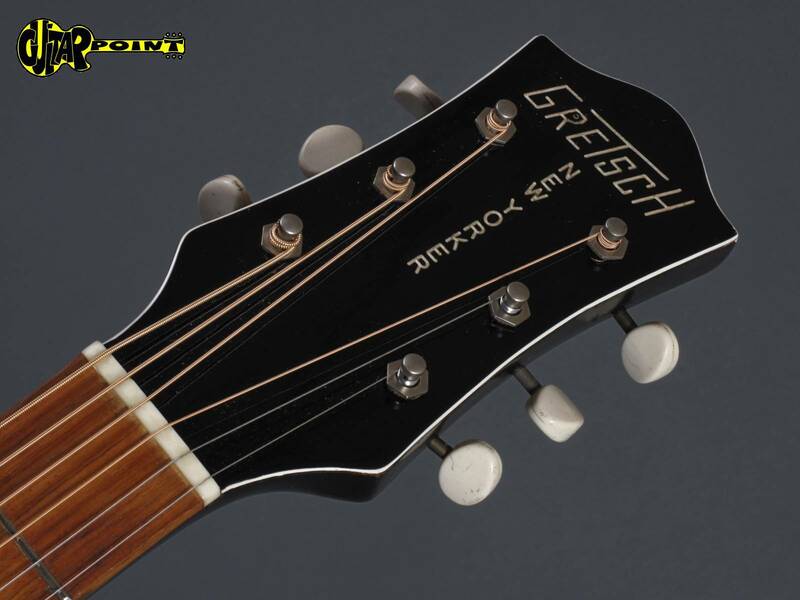 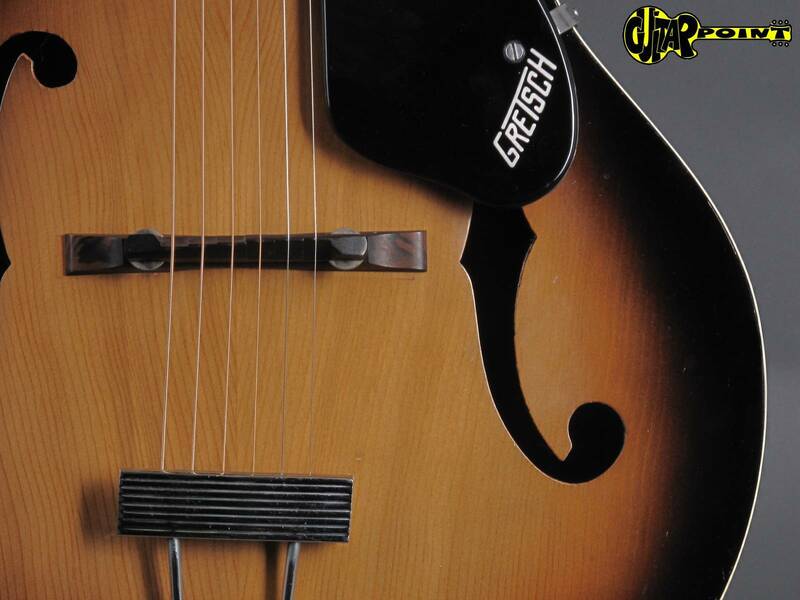 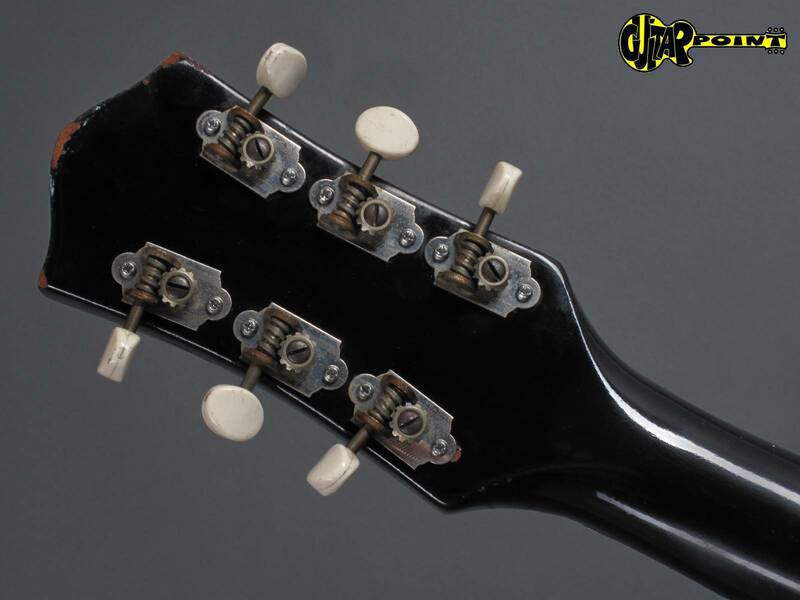 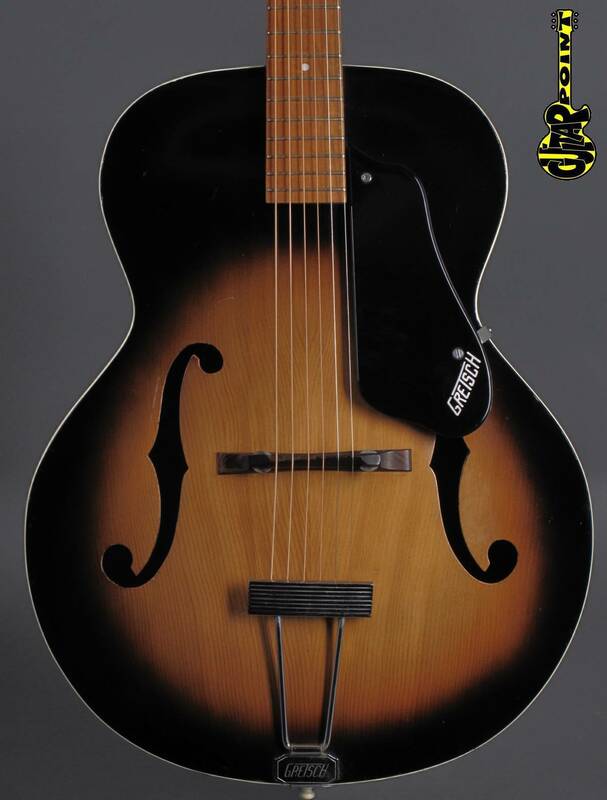 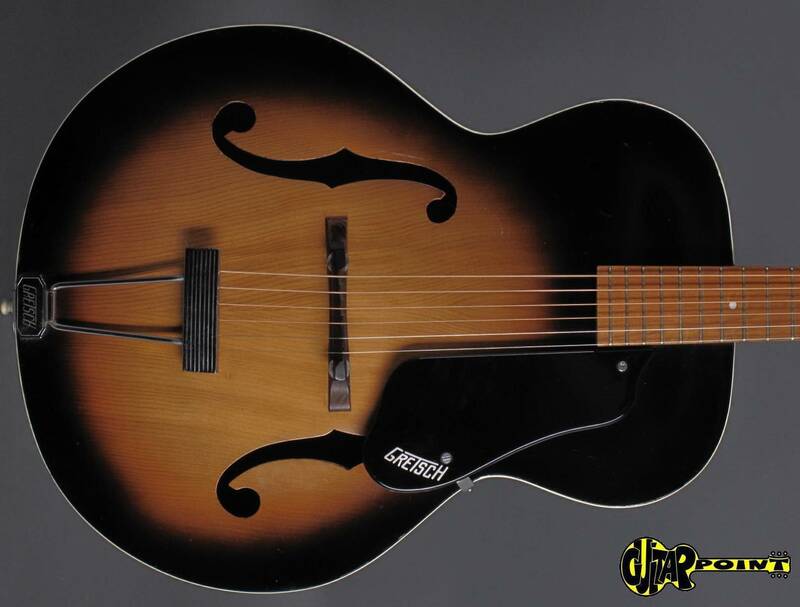 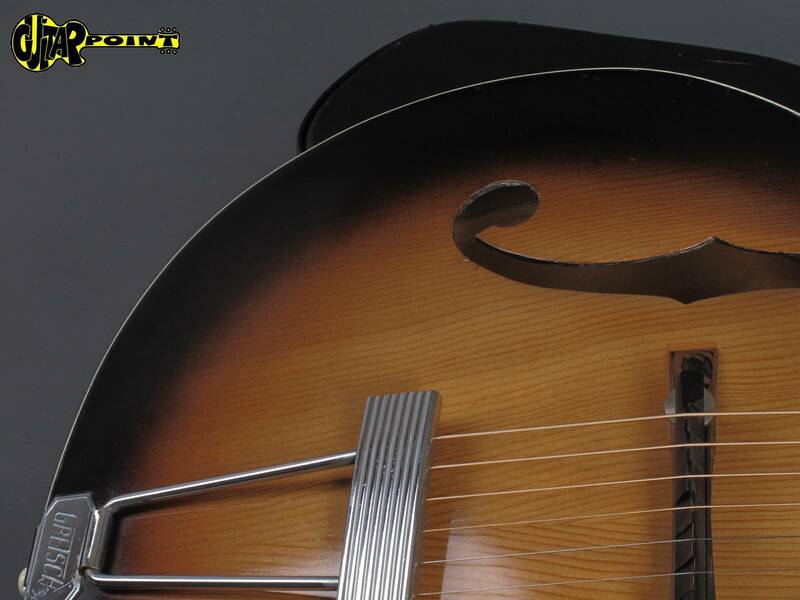 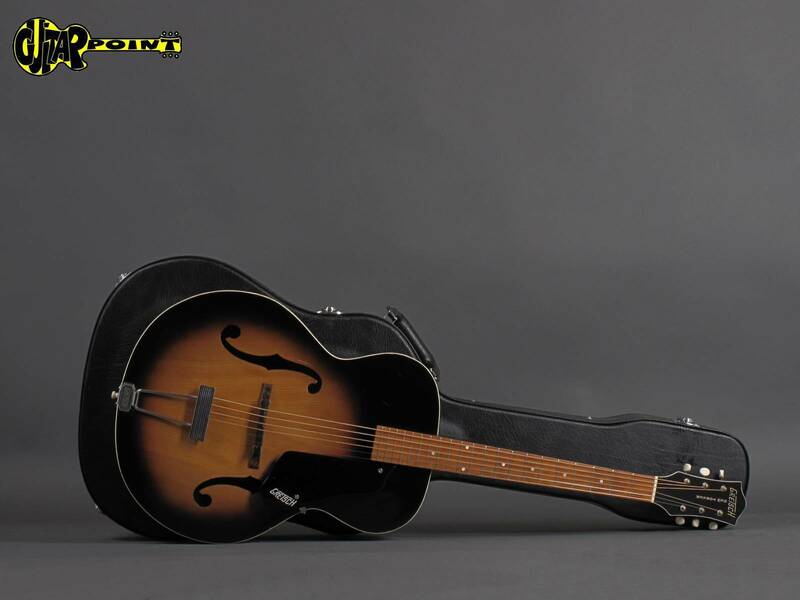 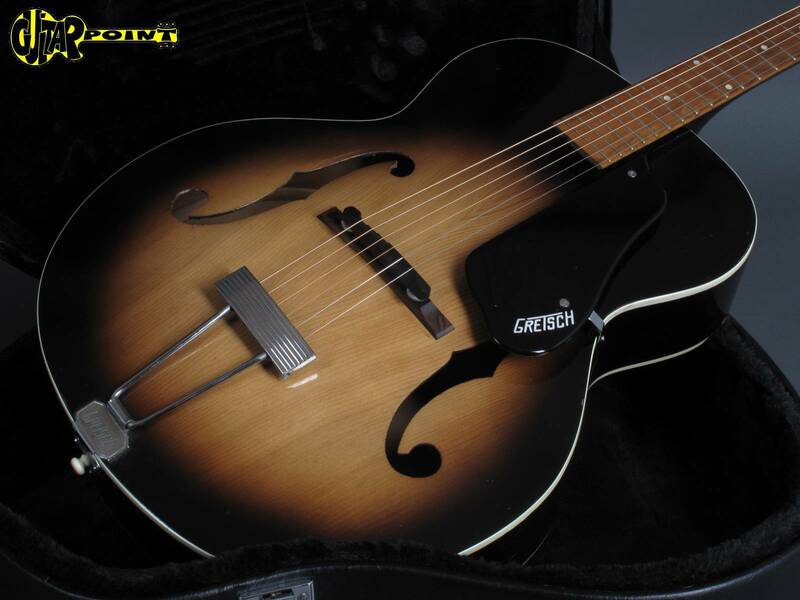 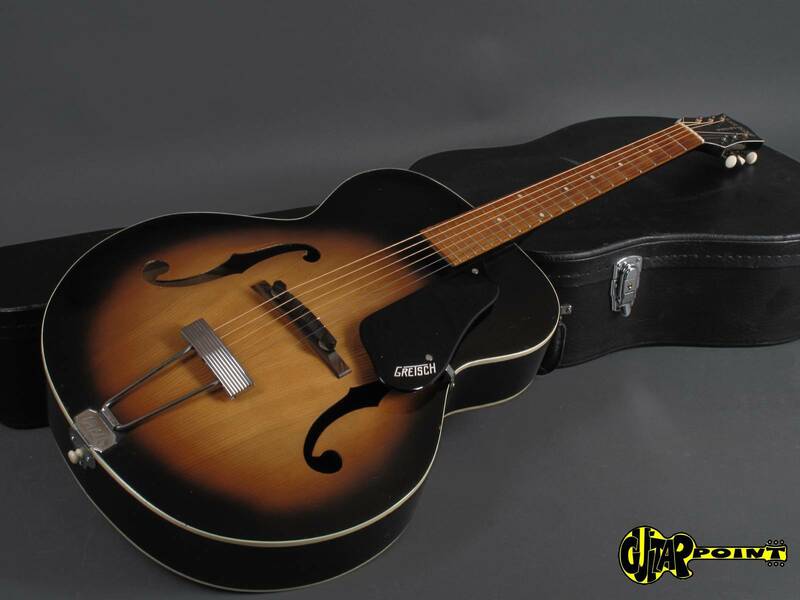 Clean 1961 Gretsch 6050 New Yorker archtop guitar in near excellent condition for its age. 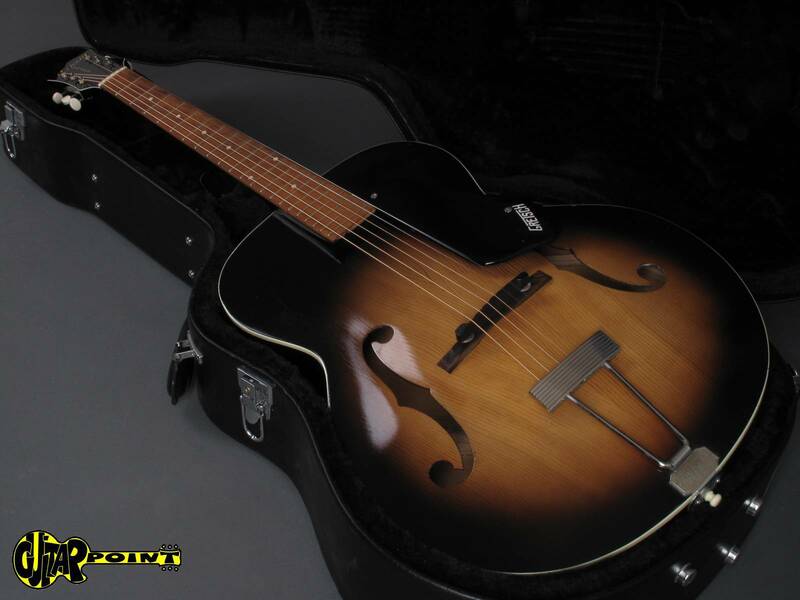 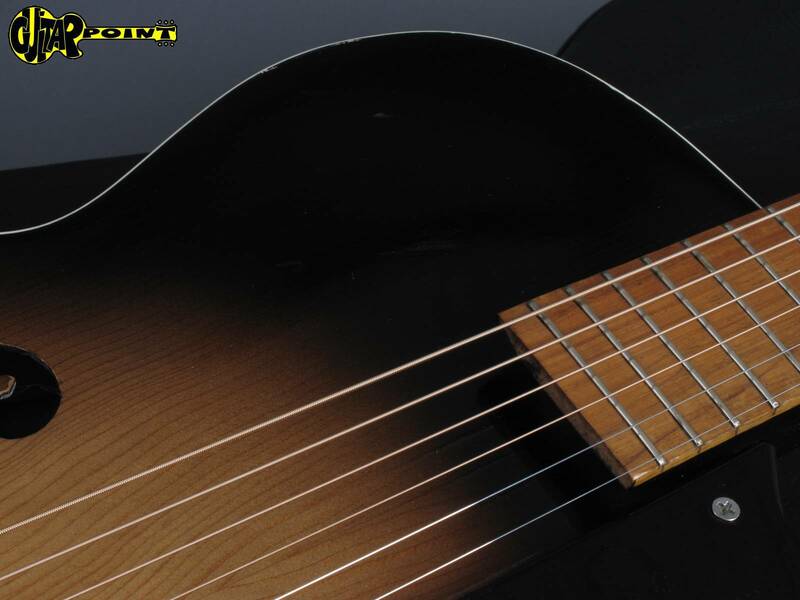 All original, original nitro-sunburst finish, (approx 3.5" depth), nice sounding. 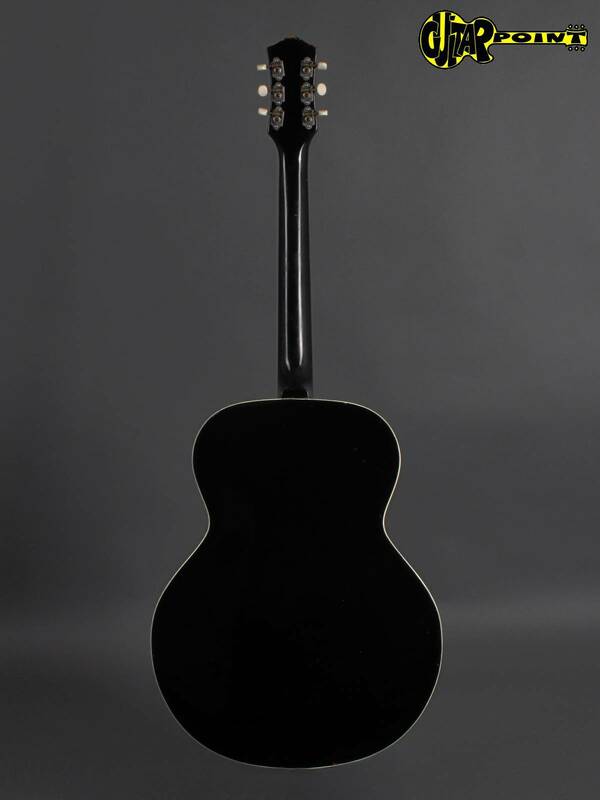 Including black hardshell case. 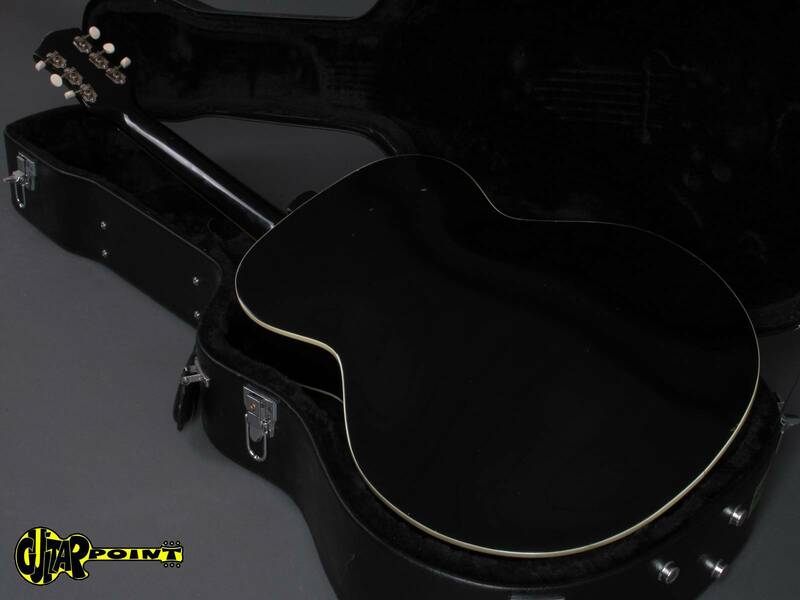 Comes in newer black hardshellcase.